Hi everyone! Today I have a special guest post to share with you. I have been reading Anutka’s blog, Wacky Laki for a long time now. Not only does she always have perfect swatches, she is also a stamping queen. And I don’t just mean she has clean execution, rather, she takes stamping to a whole new level where she would free hand decorations, color in the design, or create decals using stamps. So, I was simply thrilled when she agreed to guest post for me. 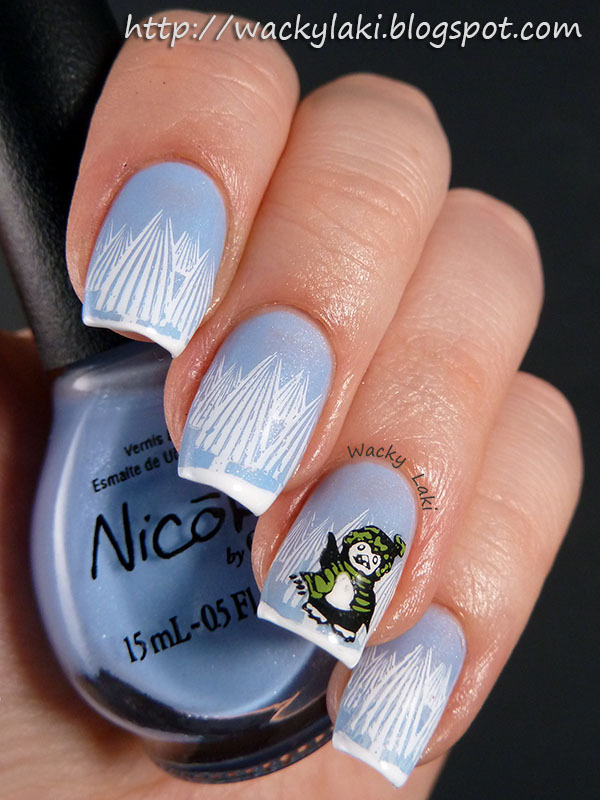 To my surprise, her nail art features penguins! 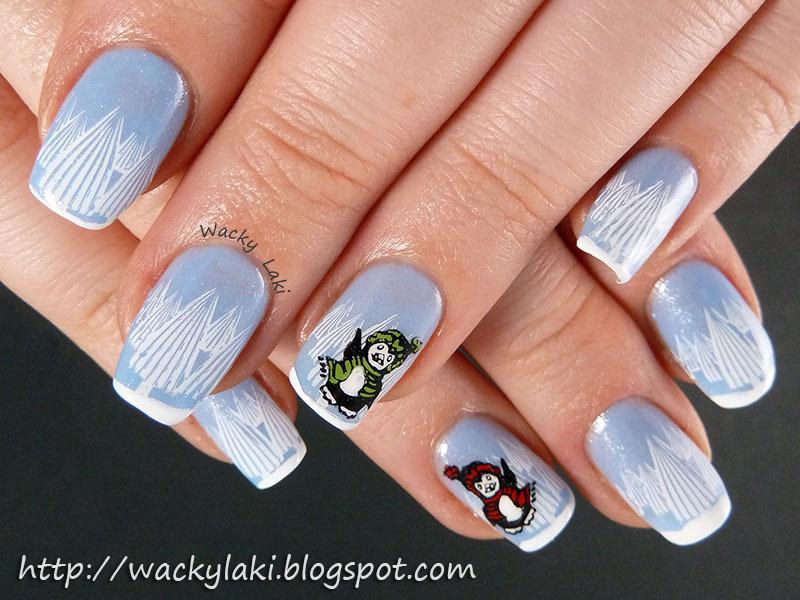 I think hers would have a blast playing snowball fight with my Holiday Penguins that I created a little while ago. 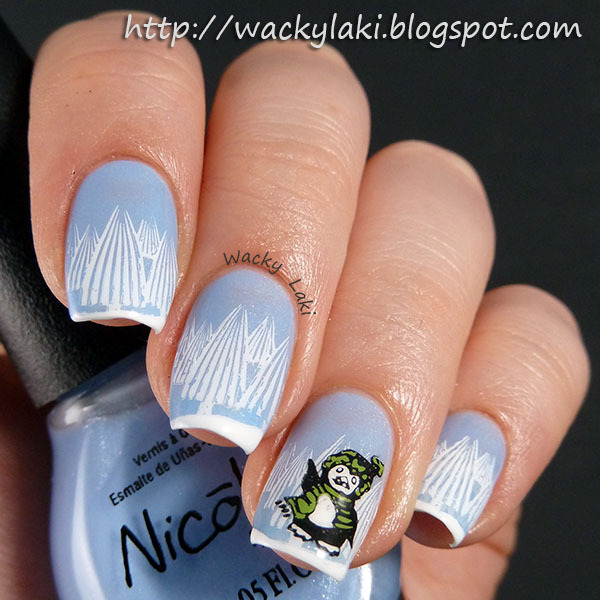 Without further ado, please read on and enjoy this fun and gorgeous creation from Anutka! 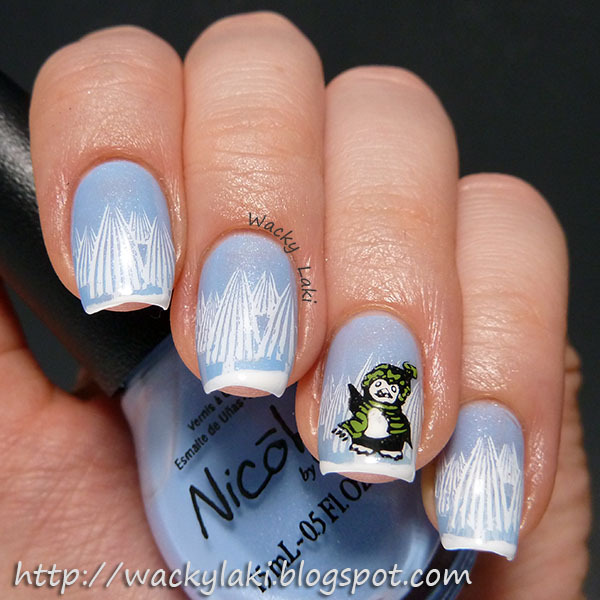 Thank you again to Kate for featuring me here today and I hope you enjoyed this manicure! 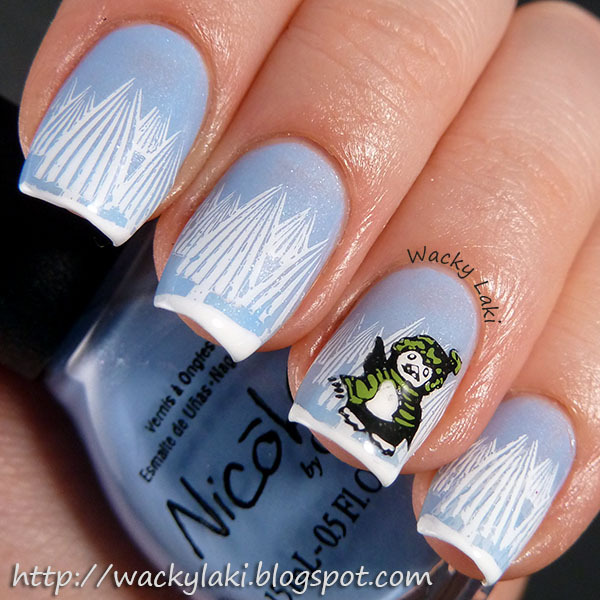 I’ve never thought about how you could create mirror images with stamped nail decals! So cool!